Gobble! Gobble! 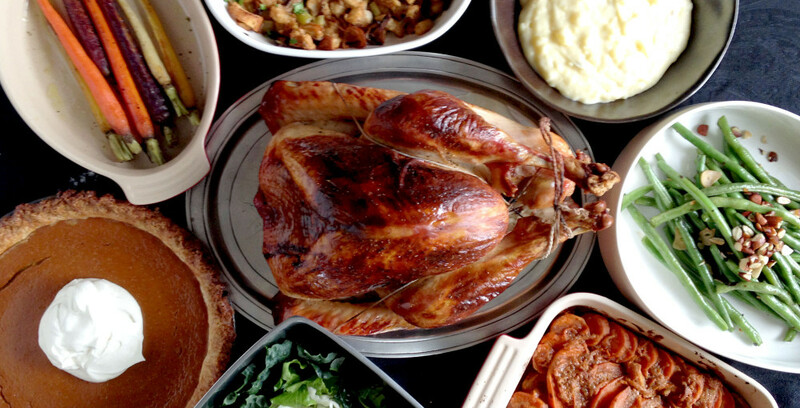 Homegrown Foods will get all the groceries for your turkey feast, pre-portioned, partially prepped, and complete with local and organic ingredients delivered to your doorstep on Tuesday, November 20 (ask us if you need it earlier). Recipes and helpful prep instructions will guide you step-by-step on how to get started with do-aheads, how to break up the work over several days, save time, and coordinate cooking so dinner is ready when you want it. 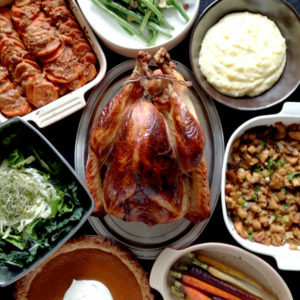 Inquire for earlier delivery date or purchasing sides without the turkey. Gluten-free available by request in Notes on Checkout page. Limited quantities available until Sunday, November 18. Subscription to Homegrown Foods not required. Email info@eatgoodathome.com or message on Facebook with any questions.